Scottish farmers have suffered one of the worst harvests this year, with the result that forage quality is extremely mixed. However, all is not lost – high temperature dried lucerne can play a valuable role on farms faced with the prospect of having to feed poor silage. According to Trevor Rees, Dengie Product Manager, livestock farmers in Scotland and the north of England are facing a challenging winter with poorer quality first cuts and lighter subsequent cuts. At the same time, alternative feeds are already in short supply making ration formulation particularly difficult. “Silage stocks will have to be stretched to last the winter while at the same time it will be essential to feed sufficient fibre to ensure effective rumen function,” he said. 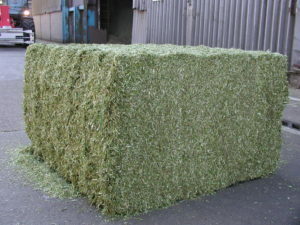 At 10MJ ME and 17% protein, dried lucerne delivers the structural and buffering benefits without reducing nutrient density of the whole diet, unlike straw or hay. 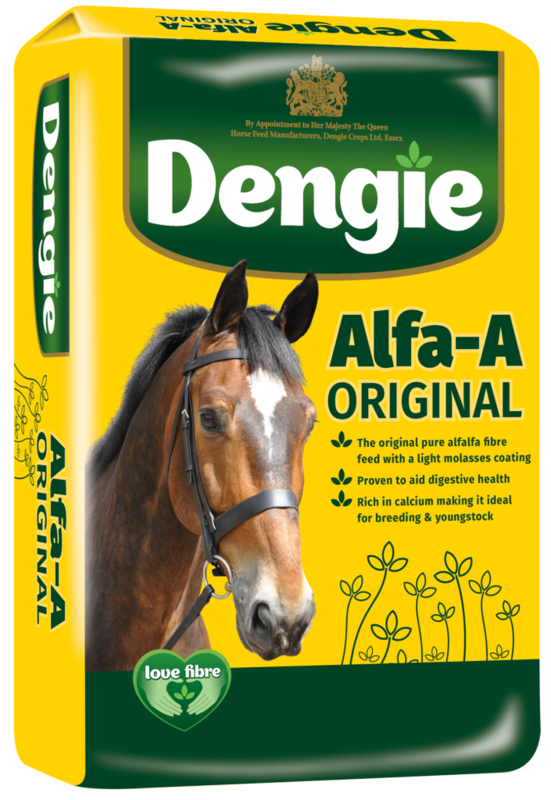 The high temperature drying process also reduces the degradability of protein meaning bypass protein levels are increased. Typical feed rates are 1.5-4.0 kg/cow/day. 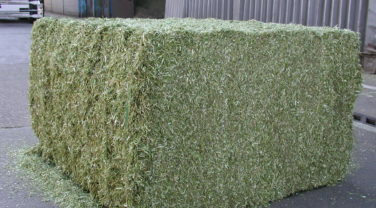 “Rumiplus is supplied in 420kg bales making it quick and easy to incorporate into a TMR with minimal waste. Farmers looking for a cost-effective way to eke out silage stocks this winter will find that dried lucerne can help improve rumen health and forage utilisation offsetting some of the impact of the difficult summer,” Trevor comments. 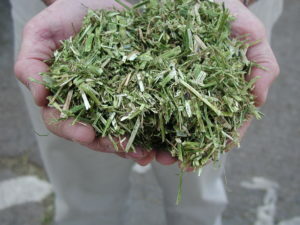 Rumiplus is high temperature dried Lucerne that is chopped to provide the scratch factor and structure to the diet without reducing its nutrient density. Lucerne is the natural buffer for the cow's rumen.